Do you know that when we are addicted, we are not free, we are conditioned by something or someone we are addicted to? Would you like to liberate yourself from it and be free? Would you like to know the difference between addiction and love, fear, feeling of guilt...? There are many positive meanings of attachment but we will use yogic meaning in sense that attachments are obstacles in the spiritual growth. What does it mean in yogic practice to be attached to someone or something? It means that we do not know who we are without it, and we often cannot imagine our lives without the thing or a person we are attached to. Also, the attachment does not allow new, fresh energies to enter our lives. Vows, commitments, contracts, agreements, promises, obligations, bans and oaths follow us from one life to another whether we like it or not, and we are very rarely, during our evolution, given a chance to get rid of them. The fact is that we do not even know how many vows and commitments we have made (or have taken over from others – our mother, father, ancestors, nation, soul family, ...), nor are we aware of the burden that we carry on the history level, soul level and even the genetic and core levels. This workshop is a modest contribution to freeing ourselves from all these constraints and broadening our consciousness. Goran Karna is Representative and Administrator of ThetaHealing® (ThetaHealing® United World Wide) of Croatia and Serbia. He is qualified at the highest level in ThetaHealing Teacher training, with a Certificate in the Science of ThetaHealing®. 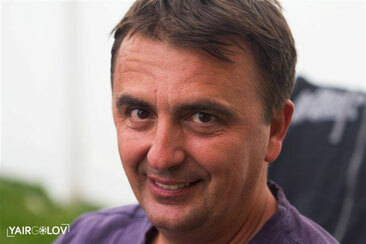 Goran has a Bachelor Degree in Philosophy and History of Art from the University of Zadar, Croatia. He also has a Diploma in Natural Therapies and Homeopathy from Health Schools Australia. Goran studied Vibrational Healing in India and also has a Diploma in Yumeiho, Traditional Chinese and Japanese Massage, from Masayuki Saionji's International Institute for Practice of Preventive Medicine.